Papaya is also called the fruit of the spirits and Coconuts are called the “Tree of Life”. 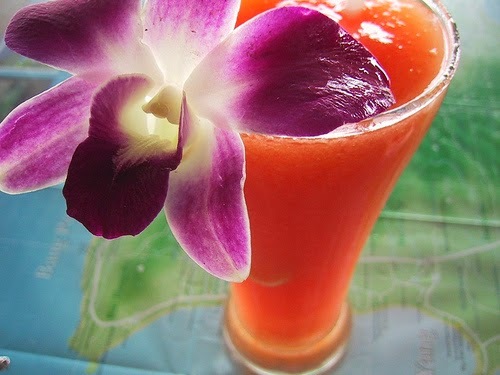 Papaya and coconut together create a smooth sweet tropical drink recipe made for an African queen. Papaya, papaw or pawpaw has sweet flesh with pungent undertones. The flesh is also soft when ripe with a buttery texture. Papayas grow in all tropical and subtropical countries throughout the world including Africa. Coconuts are called the “Tree of Life” throughout the world because every part of the coconut is used for drinks, fiber, food, fuel, utensils, musical instruments, and much more. Perhaps the oldest reference of coconuts is from Cosmas, a 5th century AD Egyptian traveler. He wrote about the “Indian nut” after visiting India and Sri Lanka formally known as Ceylon. Coconuts grow in regions are as far north as Hawaii and as far south as Africa's largest island of Madagascar. Tzaneen South Africa is rich with tropical fruits, such as bananas, pineapples, mangoes, and pawpaws. 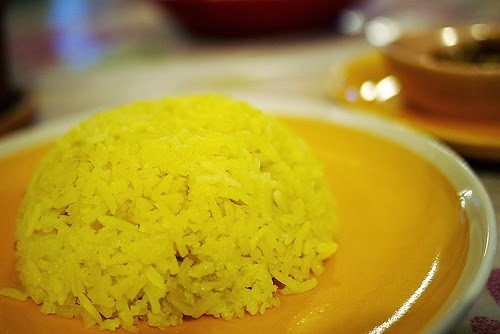 This yellow rice recipe or Geelry is essential to eat with another famous South African dish, bobotie. Quick, easy fragrant yellow rice spiced with cinnamon, turmeric, raisins and saffron full of spices and warm South African goodness. Bobotie is the iconic dish of South Africa, most commonly served with yellow rice. In a heavy 2 to 3 quart saucepan, melt the butter over moderate heat. When the foam begins to subside, add the rice and stir until the grains are coated with butter. Do not let the rice brown. Add the water, cinnamon, turmeric, saffron and salt and, stirring constantly, bring to boil over high heat. Reduce the heat to low, cover tightly, and simmer for about 20 minutes, or until the rice is tender and has absorbed all the liquid in the pan. Remove the pan from the heat, discard the cinnamon stick, and add the raisins. Fluff the rice with a fork, stir in 1 teaspoon of sugar, taste, and add more if you wish. Cut a circle of wax paper or foil and place it inside the pan directly on top of the rice. Cover the pan with its lid and let it stand at room temperature for about 20 minutes. 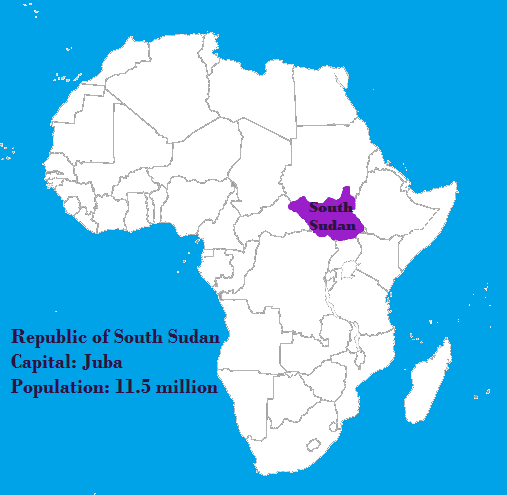 The Republic of South Sudan is the 193rd member state of the United Nations and the 54th member state of the African Union. Between the Governments of the Sudan and the Sudan People’s Liberation Movement Peace, talks resulted in a Comprehensive Peace Agreement, signed on January 9, 2005. As part of this agreement the south was granted a six-year period of autonomy to be followed by a referendum on final status. 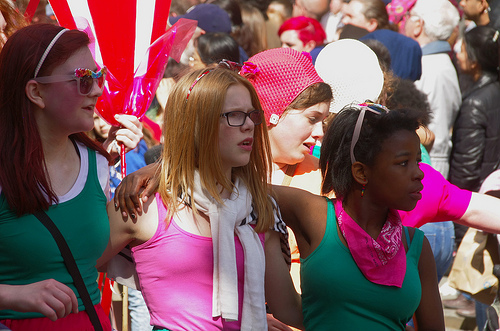 The result of this referendum, held in January 2011, was a vote overwhelmingly in favor of secession. 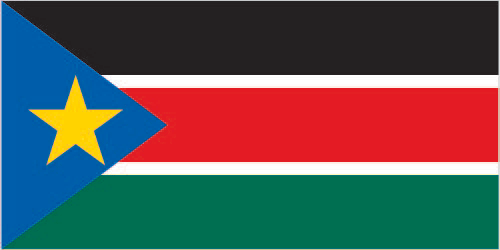 Independence was attained on July 9, 2011 by South Sudan. Since independence July 9, 2011, South Sudan has struggled with good governance. Organizations across South Sudan have seized the opportunity by establishing forums to discuss key constitutional reforms. These civic dialogues center on creating a more democratic and inclusive government; addressing key issues such as equitable distribution of public goods and services and guarantees of civil and political liberties; and economic and social rights, including the role of women and youth. Red: Blood that was shed by the liberation struggle martyrs. White: Peace attained after many years of the liberation struggle. Blue: Waters of the Nile River, a source of life for the country. Green: The countries natural resources. Yellow: Star guiding the country and its citizens. 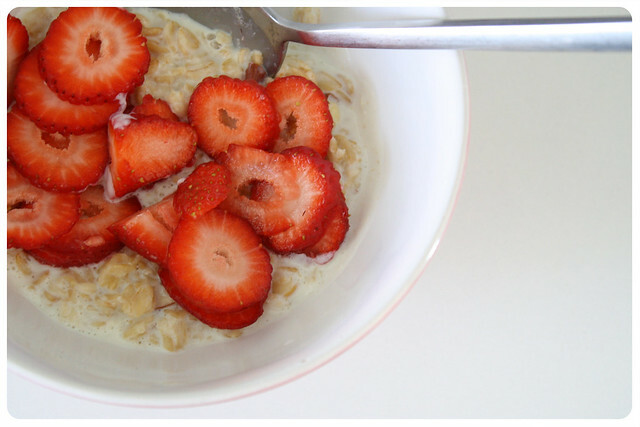 Start your morning off right with Good Morning Strawberry Barley Porridge Recipe. Strawberry Barley Porridge is a delicious substitute to oatmeal in the morning and a fantastic way to add whole grains to your diet. Soak the barley in 3/4 cup water for 1 hour. At the end of the hour, add the remaining 3 1/2 cups of water to a saucepan cover pot and bring to a boil. Add the soaked barley as well as the soaking liquid to the boiling water and cook on medium heat for 30 minutes or until the barley is soft. Remove the pot from the heat and sweeten with your choice of jam and milk to taste, stirring until fully incorporated. Nearly half of the world barley crop is used as food for livestock and the other half is used for human food and beer making. South Africa is the largest producer of beer made with barely in Africa and the largest barely grower. Ceramic tagines are exquisite examples of Moroccan artisan ship, and many are show pieces as well as functional cooking vessels. Moroccan tagines make delicious family meals, and the presentation in a clay or glazed tagine is impressive enough for company. Try this basic Chicken Tagine with Potatoes and Carrots recipe. Tagines are primarily used to slow-cook savory stews and vegetable dishes. 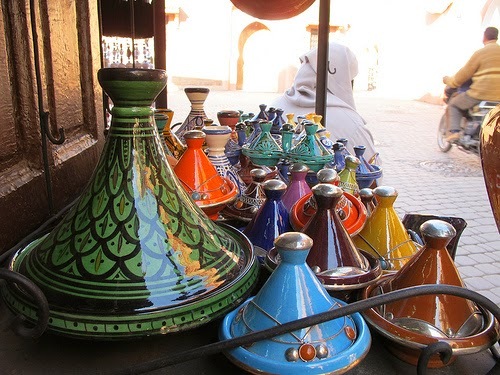 Because the domed or cone-shaped lid of the tagine traps steam and returns the condensed liquid to the pot, a minimal amount of water is needed to cook meats and vegetables to buttery-tenderness. This method of cooking is very practical in areas where water supplies are limited or where public water is not yet available. The traditional method of cooking with a tagine is to place the tagine over coals. Large bricks of charcoal are purchased specifically for their ability to stay hot for hours. Smaller pieces of charcoal are reserved for cooking brochettes and other grilled meats. Before using a tagine for the first time, you'll want to season it. Use a tagine in a low heat oven or place it on a gas or electric stove top. Use the lowest heat necessary to keep the stew simmering gently. A diffuser – a circular piece of aluminum placed between the tagine and burner – is highly recommended to buffer and more evenly distribute the stove's heat. Moroccan tagines make delicious family meals, and the presentation in a clay or glazed tagine is impressive enough for company. Try this basic Chicken Tagine with Potatoes and Carrots recipe. Pour enough of the olive oil into the tagine to coat the bottom. Layer the onion rings across the bottom of the tagine, and arrange the carrots on top of the onions. Add the chicken to the center of the tagine, and place the coriander on top. Arrange the potatoes around the chicken, and then distribute the chopped onions, garlic and spices over everything. Drizzle the remaining olive oil over the chicken and potatoes. Add the water to the tagine, and place over medium heat. Use a diffuser if you like, but as long as the heat is kept low, a traditional tagine should be safe on a burner. Cover the tagine, and bring the dish to a simmer. (Be patient, it takes a good 10 minutes for the tagine to heat up to this point.) Adjust the heat to medium-low or low, checking occasionally to be sure that you can still hear the tagine simmering. Tagine is done when potatoes are fork tender, about 10 minutes. You can use a stew pot instead of a tagine, just add an extra 1 cup of broth to the recipe. Serve over cooked rice or couscous. Nyamanda education follows the educational model of teaching through conversation. The skills to practice, express, and exchange healthy multicultural ideas are best taught through conversation, questions and awareness. Nyamanda education unlocks the door to learning throughout life and is essential to development and healthy multicultural emotional growth. Education is the key that unlocks the door of hated also known as xenophobia. Xenophobia is defined as someone who prejudges and is afraid of people from different countries or cultures. The African Gourmet Tour of Africa Nyamanda ”Until There is Peace in Africa” human rights project gives 100% of donations through PayPal to support lectures to students on the importance of acting globally and assisting the most fragile regions of Africa. Nyamanda teaches one person can make a difference in the lives of billions through healthy multicultural growth. 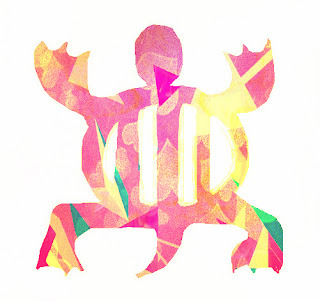 Adinkra symbol for prudence and practicality. Nyamanda education unlocks the door to learning throughout life and is essential to development and healthy multicultural emotional growth. Nothing is too small to make a difference in the lives of billions. If you think you are too small to make a difference, try sleeping with a mosquito – The Dalai Lama. Nyamanda education follows the educational model of teaching through conversation. The skills to practice, express, and exchange healthy multicultural ideas are best taught through conversation, questions and awareness. Second edition of A Field of Greens has the same favorite recipes we all know and love plus a new chapter on drinks, Ashanti Adinkra symbols and a few more surprises. 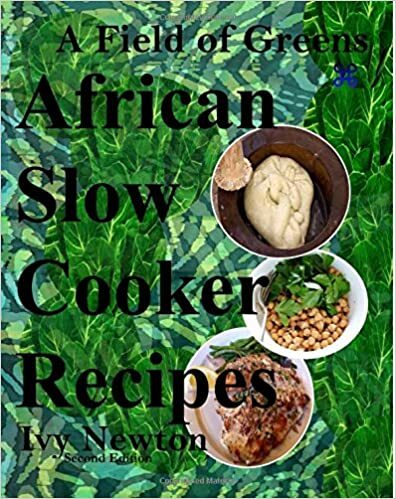 With 111 easy African slow cooker recipes, fall in love with your slow cooker all over again. A Field of Greens is also available as a unabridged kindle book. Our goal is to eradicate poverty through liberation of the mind with knowledge and education. Once physical requirements for human survival such as safety and food are taken care of, humans can focus on education. The Samburu tribe were on the losing end of the 17,100 acre Laikipia National Park land ownership dispute with the Nature Conservancy, and the African Wildlife Foundation and the Kenya Wildlife Service. The Samburu live just north of the equator in the Rift Valley province of Northern Kenya. 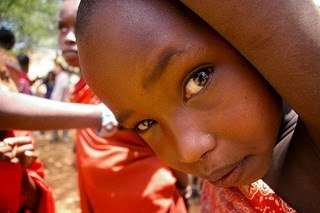 The Samburu are closely related to the Maasai of East Africa. They speak a similar language, derived from Maa, which is called Samburu. The Samburu are semi-nomadic pastoralists. Cattle, as well as sheep, goats and camels, are of utmost importance to the Samburu culture and way of life. The Samburu are extremely dependent on their animals for survival. On November 11, 2011, thousands of the Samburu livestock were impounded due to a dispute over land ownership with Nature Conservancy and the African Wildlife Foundation who purchased the land and gave it as a gift to Kenya for a national park, to be called Laikipia National Park. The Samburu's legal case was heard in the town of Nyeri December 14, 2011 and the court ruled The Kenya Wildlife Service had secured legal registration of the land. Traditionally men look after the cattle and they are also responsible for the safety of the tribe. Samburu boys learn to tend cattle from a young age. The Rift Valley province in Kenya is a dry, somewhat barren land, and the Samburu have to move constantly to ensure their cattle can feed. Around every 6 weeks, the group will move to find fresh grazing grounds. These settlements are called manyattas. As with many traditional tribes, the Samburu are under pressure from their government to settle into permanent villages. They have been extremely reluctant to do so since obviously permanent settlement would disrupt their entire way of life. The area they live in is very arid and it's difficult to grow crops to sustain a permanent site. This basically means the Samburu will become dependent on others for their survival. Since status and wealth in Samburu culture is synonymous with the amount of cattle one owns, a sedentary agricultural lifestyle is not in the least attractive.